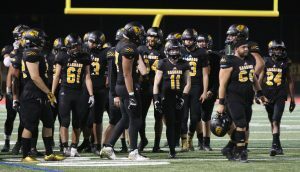 PHOENIX – If California’s experience is any indication, skeptics will quickly warm up to the Arizona Interscholastic Association’s recent decision to add an Open Division to the football postseason. On Jan. 22, the AIA Executive Board unanimously passed a motion to create an eight-team playoff for the 2019 football season that will pull the top teams from the state’s biggest conferences: the 6A, 5A and 4A. Teams not selected will still compete for a conference championship. The California Interscholastic Federation made a similar move in 2008. “It has become much more acceptable and prestigious than when it first started. It means you’re one of the best teams,” said Eric Sondheimer, prep sports columnist for the Los Angeles Times. The AIA’s decision was motivated by a desire to name one true state champion, but also to find the best path to award that title. The eight teams selected will be determined based on a computer formula. California’s Open division was created “so that schools would be seeded into the state championship brackets based on competitive equity,” instead of enrollment-based seeding, said Rebecca Brutlag, the CIF’s director of media relations. “We are expecting three great rounds of football because it should at the very least be most of the best teams in Arizona. … The open division next year will create a more competitive conference championships,” said AIA assistant executive director Jake Paddock. The playoff will be in a traditional bracket formula with the highest seeds playing the lowest seeds until a champion is crowned. The title game will be played at Arizona State’s Sun Devil Stadium. 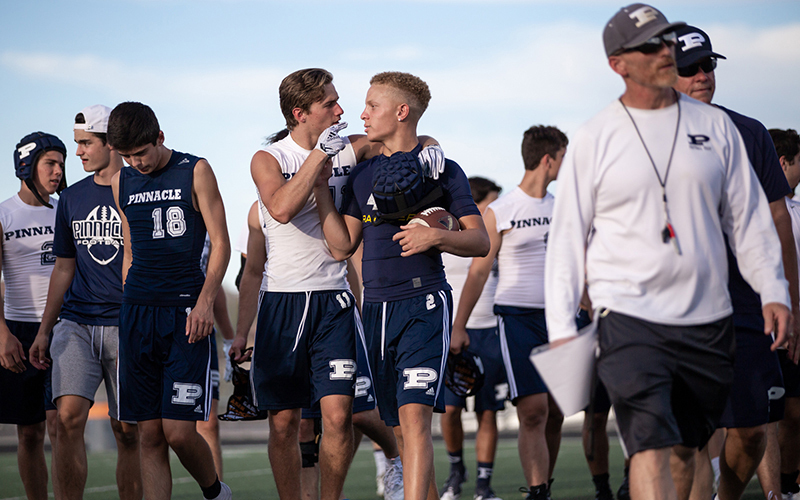 Teams that would like to replicate the success they had last season and get in the Open Division include Chandler, Pinnacle, Centennial, Saguaro, South Pointe, Highland, Liberty and Williams Field. Early feedback about the decision has been positive from some of the state’s top football programs. “I am excited about it,” said Highland football coach Brock Farrel, whose team went 11-2 last season. “Who would not like to compete on the field to see who is the best. The high school football season kicks off in August.